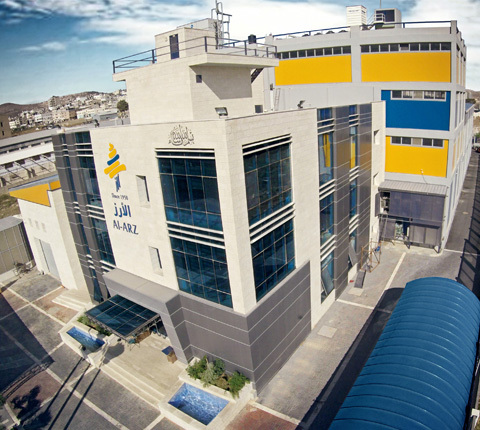 From its humble beginning in 1950, producing ice in order to cool water and store food, Al Arz has evolved to be the leader of frozen treats market in Palestine. Since its establishment by the late Mohammad Anabtawi in Nablus, Palestine, Al Arz grew into a successful producer of high quality ice cream. In 2007, Al Arz started the first step towards exporting, where Jordan was the first station, two years later, Al Arz acquired the global food safety certificate HACCP. It was the first company to acquire this certificate among the ice cream and dairy producers in Palestine and Jordan. With state of the art facilities and equipment along with a production capacity reaching up to 8 million liters of ice cream per month, using only the best ingredients sourced from around the world, we aim to create a smile for our clients who enjoy different tastes of life.